North Carolina mechanic's lien laws permit construction workers, laborers, equipment suppliers and other people who assist in the improvement of real property to file a lien on the property if they are not fully compensated for their work. Complying with the proper noticing requirements and lien filing procedures is necessary in order to enforce a lien claim. When liens are enforced, contractors are authorized to use funds from the sale proceeds of the property to satisfy their claims. File the lien claim in the Superior Court clerk's office. The claim needs to include your name and address; the name and address of the property owner; a description of the real property; the name and address of the other parties assigned to the contract; dates when you started and completed the work; and a description of the services performed. File the lien at the Superior Court in the same county as where the property is situated. The lien must be filed within 120 days after the contractor has finished working on the real property. If the contractor attempts to file the lien after the 120 day deadline, the lien will not be enforced. Enforce the lien by filing a lawsuit or a notice of lis pendens within 180 days after finishing work on the project. File the lawsuit in the county that has proper jurisdiction over the real property. File the lis pendens in every county where any other liens have been recorded for the real property. The contractor can proceed with foreclosure proceedings and sell the property if the court grants a judgment enforcing the lien. Sell the real property. The sale proceeds will be distributed to the contractor to satisfy his lien claim. 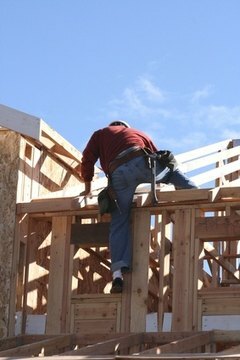 When the contractor's lien has been satisfied, the lien on the property can be discharged. The property owner can submit a certified copy of a court judgment or documentation signed by the contractor verifying the lien has been paid in full to the Superior Court clerk's office. Pamela Parker became a freelance writer in 2009. She has worked in bankruptcy law since 2007. She writes extensively on bankruptcy and financial topics, with her work appearing on various websites. Parker has a Bachelor of Arts in sociology from Brown University and a Juris Doctor from the University of San Diego School of Law. Parker, Pamela. "How to File a Mechanic's Lien in North Carolina." , https://legalbeagle.com/6681982-file-mechanics-lien-north-carolina.html. Accessed 21 April 2019.